Madeleine Pelner Cosman is Director of the Institute for Medieval and Renaissance Studies at the City College of City Universoty in New York. 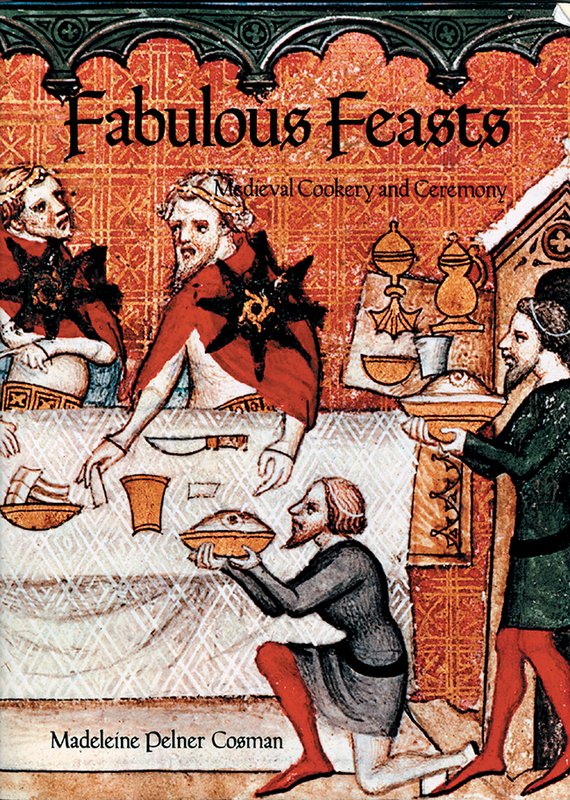 Fabulous Feasts: Medieval Cookery and Ceremony celebrates the close relationship between food and culture in the Middle Ages by exploring every facet of medieval life as reflected in the food and feasting habits of people from that time period. Filled with a rich selection of tempting recipes that can be prepared by the modern-day host and hostess, the book goes beyond the scope of most cookbooks by explaining the provenance and the practical reasons for certain cooking methods, ingredients, and related customs. In order to answer questions about how and why people ate what they did in the Middle Ages, Dr. Madeleine Cosman discusses topics ranging from medical nutrition, food safety, and food preparation to food service, table manners, and courtly magnificence. Leaving nothing out, from the ambiance down to the menu, Cosman transports the reader back to the Middle Ages through descriptions of humble meals among the common people as well as elaborate banquets at the King's Table. "Any even faintly literary types, be they cook or history buff, should be absolutely delighted with this book."